Christian Gudegast’s follow-up to London Has Fallen delivers everything you would expect. It’s nearly 25 years since Michael Mann delivered Heat – the heist thriller to end all heist thrillers. 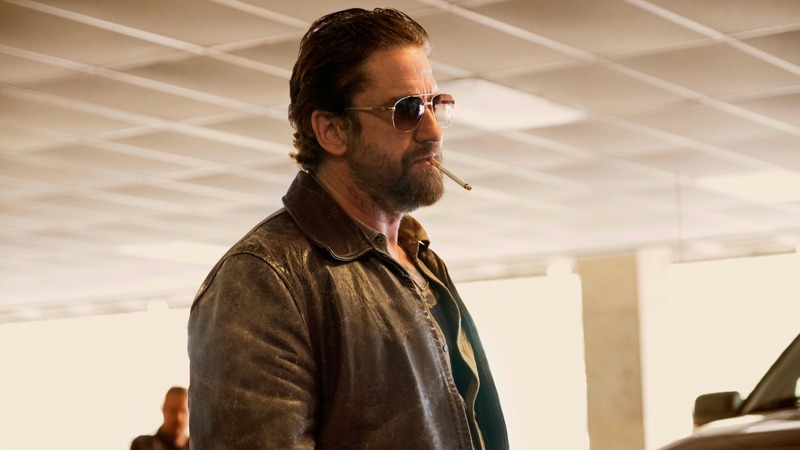 Plenty of films have tried, and failed, to replicate the film’s mix of high-stakes drama and even higher-stakes action since then but Gerard Butler’s Den Of Thieves makes a better fist of things than most. In the week where the latest list of nominees for the Oscars came out, it makes for a neat contrast to have Butler returning to the action fold with a movie that asks audiences to disengage their brain and simply enjoy the ride – a quality all too often overlooked. 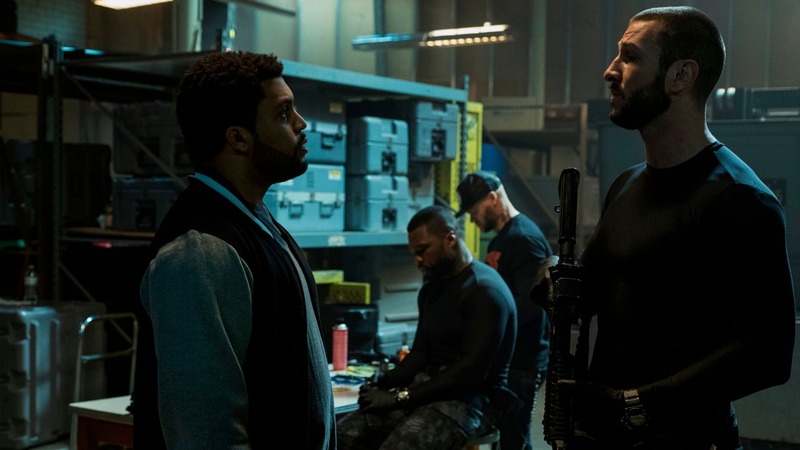 Den Of Thieves won’t win any awards but, as modern action movies go, it’s one of the more enjoyable and inventive – even if it owes plenty to films like Heat, Training Day and The Usual Suspects. Butler plays “Big Nick” O’Brien an LAPD detective and the leader of a notorious squad of officers who aren’t afraid to break a few rules if it means they catch the bad guys. Nick and his boys have got their work cut out for them though, going up against an elite crew of bank robbers led by Pablo Schreiber’s Ray Merrimen. He’s joined by O’Shea Jackson Jr.’s Donnie, 50 Cent’s Levi and an assortment of muscle-bound goons intent on pulling off an audacious heist at the nearby Federal Reserve. 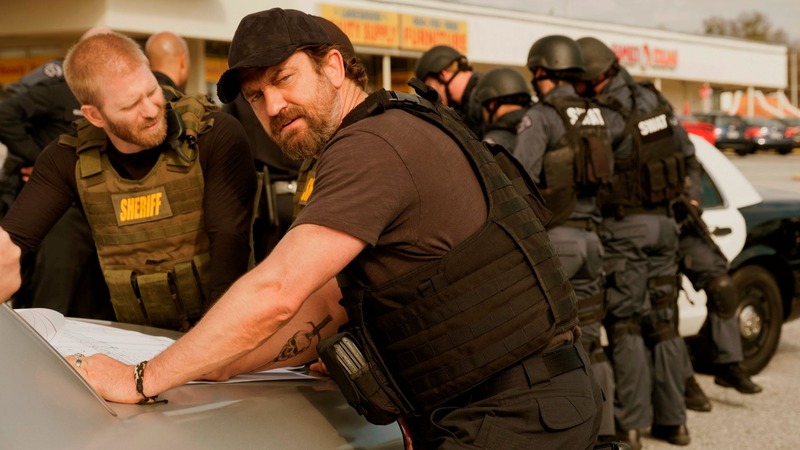 Directed by Christian Gudegast, who worked with Butler on London Has Fallen, Den Of Thieves is thrilling from the moment go, with enough action scenes and machismo to paper over the cracks. Heist movies live and die on the bank jobs, so it’s positive to report that the central robbery on show here is imaginative and well-executed, if a little far-fetched. Butler, meanwhile, gets more of an opportunity to flex more of his acting chops, in a movie that sees him maintain his steady trajectory as a Jason Statham of sorts, bringing fans engaging action-led efforts that deliver exactly what they say on the tin. Credit also goes to Jackson and Schreiber. Ice Cube’s son looks a star in the making while Schreiber plays against type as the menacing and calculated Merrimen. After impressing all those years ago on The Wire, it’s great to see him sharing some of the limelight again. If you’re looking for something strikingly original at the cinema then Den Of Thieves may disappoint, but if you fancy watching a slick action flick that packs one hell of a punch, it’s perfect. Boasting a great central heist, some engaging performances and, above all else, well-handled and well-excited action, Den Of Thieves delivers everything you would expect – and maybe even a little bit more besides.